"The destruction of Israel is non-negotiable." — Mohammad Neza Naghdi, Commander of Iran's Basij paramilitary force. Sanctions relief will mainly benefit Ayatollah Khamenei and members of the Revolutionary Guards: they control up to one-third of Iran's economy. Part of the Iranian regime's grand strategy is to inflict "death to America" and replace it with its own radical version of Islamic governance. Ayatollah Khamenei himself called for America's destruction amid nuclear negotiations. Officials also believe Iran is indirectly funding the Islamic State (IS) in the Sinai. "Suitcases of cash" are sent directly to Hamas officials in the Gaza Strip; part of the money is then transferred to IS. Iran now poses an even greater threat. If democracies today continue their present policies towards Iran, it will only embolden Iran's regime to continue its quest to obtain nuclear weapons as well as its terrorism and human rights violations. Humanity seldom seems to learn its lessons. The governments of the world's leading democracies appear to be suffering from this predicament in their nuclear dealings with the Islamic Republic of Iran. To avoid catastrophe, democracies need quickly to correct their course. One of the fatal blunders of Western democracies is their repeated commitment to appeasing and delaying action against aggressive regimes. Between the two World Wars, despite plenty of evidence of the widely-declared global racist agenda of Germany's Adolf Hitler, democratic powers waited to take action until it was too late. Hitler was able to carry out a genocide that continues to haunt many nations. Today, Western democratic governments, with their Eastern counterparts such as India, seem on a similar course in dealing with the Islamic Republic of Iran. The domestic and international agenda of the Khomeinist government is publicly documented. Since the Iranian Revolution of 1979, part of the regime's open grand strategy is to inflict "death to America," the leader of the free world, and replace it with its own radical version of Islamic governance. Under the current Supreme Leader Ayatollah Ali Khamenei and his Islamic Revolutionary Guards Corps (IRGC), Iran has been gaining influence across the Middle East, Latin America, the Caribbean and South Asia. Despite nuclear talks with the West, Iran's goal of "death to America" remains. The Ayatollah himself even called for America's destruction amid nuclear negotiations. Currently, Iran is a major player in aiding the autocratic regime of Basher al-Assad in Syria, the Houthis in Yemen, Hezbollah in Lebanon, Palestinian Islamic Jihad and Hamas in the West Bank and Gaza and the Islamic State (IS) in Egypt's Sinai Peninsula. To advance its imperial agenda, Iran has proceeded to develop its conventional and nuclear ballistic missile program. According to Director of National Intelligence James Clapper, Iran has "one of the largest inventories of ballistic missiles in the Middle East." In line with Iran's missile development program, Iran's Revolutionary Guard Navy Rear Commander, Ali Fadavi, announced: "Based on the fifth five-year plan, we should materialize our objective of mass-producing military speedboats with the speed of 80 knots per hour... and are equipped with missiles with a range of 100km; the vessels no one can catch." Aside from its military aspirations, since the fall of the Shah in 1979, successive Iranian governments have voiced their plans to annihilate the State of Israel, the only pluralist democracy in the Middle East, and an effective military deterrent to Iran's designs in the region. Hostile messages have been pouring forth from Iran. 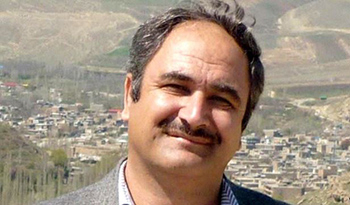 Mohammad Neza Naghdi, Commander of the Basij paramilitary force, stated in clear terms in April 2015, that, "The destruction of Israel is non-negotiable." Major General Yahya Rahim Safavi, a former IRGC commander and a top military aide to Khamenei, warned in May 2015, that "More than 80,000 missiles are ready to rain down on Tel Aviv and Haifa." As late as November, Iran's Supreme Leader Khamenei himself tweeted, "This barbaric, wolflike & infanticidal regime of #Israel which spares no crime has no cure but to be annihilated." Bewilderingly, Western democracies have chosen to overlook Iran's speeches and actions. They chose instead to appease the regime. Last July, despite genuinely serious reservations expressed by international strategic and military experts (including retired American military officers), the United States, United Kingdom, France and Germany – the four democracies in the P5+1 -- concluded a nuclear deal with themselves that they proposed to Iran. Iran so far has not signed the deal, and apparently even if it did, according to the U.S. Department of State, the deal would not be legally binding. Tehran will greatly benefit financially from the terms of the nuclear agreement in the months to come. Under the administration of President Barack Obama, nuclear sanctions against Iran have been lifted. To advance the deal and make it more appealing to Iran, the president has also agreed to pay Iran a $1.7 billion settlement for $400 million in "frozen" assets held in the United States since 1981. The Society for Worldwide Interbank Financial Telecommunication (SWIFT), "the electronic bloodstream of the global financial system," had disconnected 15 Iranian banks from its system in 2012. after coming under pressure from both the United States and the European Union at the height of efforts to curb Iran's nuclear ambitions. Today, SWIFT is ready to let those banned banks, including the Central Bank of Iran, use its system once again. Iran now has an even greater ability to fund its terrorist proxies around the world. European political and business leaders have been rushing to Tehran to sign new agreements. On January 28, in Paris, Iran's President Hassan Rouhani and France's President Francois Hollande signed major business deals, including a joint venture between car-makers PSA Peugeot Citroen and Iran's Khodro. Iran is in the process of buying 118 Airbus passenger planes to update its aging fleet. The construction group Bouygues and the French airport operator ADP are now set to build an extension for Tehran's airport, while Vinci, another construction firm, has been commissioned to design, build and operate new terminals for the Mashhad and Isfahan airports. The French oil company Total has agreed to buy Iranian crude oil, and agreements in shipping, health, agriculture and water provision have also been signed. Democratic India is also cultivating relations with Iran. In a meeting in May, India's Minister of Road Transport and Highways, Nitin Gadkari, and Iranian Transport and Urban Development Minister, Abbas Ahmad Akhoundi signed a Memorandum of Understanding on India's participation in the development of the Chabahar Port in Iran. The Chabahar project will impart strategic leverage to India and its access to Afghanistan and energy-rich Central Asia by bypassing Pakistan. The distance between the Chabahar Port and Gujarat - India's westernmost state, located near the Persian Gulf, is less than the distance between Delhi and Mumbai. Transit times are estimated to be reduced by a third. Indian firms have already agreed to lease two existing berths at the port and operate them as container and multi-purpose cargo terminals. The Chabahar project, New Delhi calculates, will be highly beneficial. As India has invested over $2 billion in Afghanistan, the Indian government plans to link the Chabahar port with the Zaranj-Delaram road it built in Afghanistan, thereby opening alternative routes to Afghanistan and enhancing access to regional and global markets. Russia and China, permanent members of the UN Security Council, are also strengthening their cooperation with Iran. Both Russia and China adopted a policy of ambivalence towards Iran and saw to it that sanctions imposed by the West were not too tough. They also repeatedly blocked attempts at sanctioning Iran's ally, the current Syrian regime, out of concern over financial ties in the region. China is also capitalizing on the lifting of sanctions against Iran. Chinese President Xi Jinping rushed to Iran after the so-called nuclear agreement to discuss a 25-year strategic cooperation plan. In a landmark deal worth up to $600 billion, Xi committed to increase trade between the two nations during the next decade. Beijing and Tehran also agreed to enhance security cooperation through intelligence-sharing, counter-terror measures, military exchanges and coordination. Incidentally, despite international sanctions, China-Iran trade increased from $3 billion in 2001 to more than $50 billion in 2014. Given its fanatical and sectarian ideological agenda, Iran is likely to use the new funds to boost its armament program and ongoing clandestine terror acts. Sanctions relief will mainly benefit Khamenei and members of the IRGC: they control up to one-third of Iran's economy. Iran now poses an even greater threat to the entire civilized world. The pattern of Tehran's behavior shows the government can never be trusted on any promises it makes not to advance its nuclear weapons program. Khamenei has made an open declaration that Tehran will not allow effective inspections of its military sites or interviews with its nuclear scientists. The links of the IRGC's Qods Force with Hezbollah, Hamas, Palestinian Islamic Jihad, the Houthis and other terror militias pose a major threat to peace and stability in the Middle East. Hezbollah's networks have expanded over the years, infiltrating Latin America and the Caribbean through Shiite cultural centers in the region. According to an official Argentine report, Tehran has established its terrorist, intelligence and operational networks throughout Latin America as far back as the 1980s. Iran's intelligence activities in the region are being conducted directly by Iranian officials or through its proxy, Hezbollah. Criminal activity may already be underway in Brazil, Colombia, Chile, Paraguay, Uruguay, Suriname and Trinidad and Tobago. Iran's involvement in the cocaine trade has bolstered the regimes regional access and strengthened ties with its allies in Venezuela, Ecuador, Bolivia and elsewhere. According to senior Western intelligence officials, the IRGC has transferred tens of millions of dollars to Hamas to be used for weapons, military equipment and training, and that Iran also delivers arms and funds to Hamas through the Red Sea and the Sinai. Officials also believe Iran is indirectly funding the Islamic State (IS) in the Sinai. "Suitcases of cash" are sent directly to Hamas officials in the Gaza Strip; part of the money is then transferred to IS. Tehran's links with Hamas and IS are part of a grander strategy of using proxy forces to gain hegemony over the Middle East and undermining American allies such as Egypt and Israel. In Lebanon, Iraq and Syria, Iran seeks to preserve its influence. By fighting IS, Iran strengthens existing pro-Iran regimes and maintains its relevance in the region. While Iran does support IS indirectly in the Sinai, the government's goal is to weaken the current Egyptian regime and the Sunni Arab alliance between Egypt, Saudi Arabia and Jordan. It has no problem with IS gaining strength in the Sinai right now. If IS does gain more power in the Sinai, Iran can use it to impose its own agenda in the future. Tehran evidently wants to use IS victories against Sunni states as an opportunity to take over. Iran also supports the Gaza-based terror group al-Sabireen ["The Patient Ones"], established in the wake of previous tensions between Iran, Hamas and Islamic Jihad. The group has about 400 followers and its emblem is identical to that of Hezbollah. Each member receives a monthly salary of $250-$300, while senior members receive at least $700. Annually, the terror group receives a budget of $10 million from Iran, smuggled in suitcases through tunnels along the border with Egypt. Potential members are wooed by al-Sabireen through familiar channels of philanthropy and education. The group's publications refer to the United States as "the source of superpower terrorism," and its slogan is, "The road to the liberation of Palestinian goes through Karbala" -- a Shiite holy city in Iraq. Al-Sabireen has extended its operations from the Gaza Strip to the West Bank and Jerusalem with Iran's backing. Hisham Salim, the founder of al-Sabireen, admitted that his group is directly financed by Iran. "We have an armed branch whose goal is to wage war on the Israeli occupation everywhere," Salim said. "Within this framework we have members in the West Bank and Jerusalem." The Obama administration has forged ahead with its Iran policies despite knowing the regime's support of global terrorism. U.S. President Barack Obama himself spoke about Iran's terror activities in a press conference last year. "Now, we'll still have problems with Iran's sponsorship of terrorism; its funding of proxies like Hezbollah that threaten Israel and threaten the region; the destabilizing activities that they're engaging in, including place like Yemen," he said, adding that the nuclear "deal is not contingent on Iran changing its behavior. Its not contingent on Iran suddenly operating like a liberal democracy." History urges those living in democracies today to rein in their governments and correct their fatal Iran policies. The world cannot afford to overlook the damage of these governments. If democracies today continue their present policies towards Iran, it will only embolden Iran's regime to continue its quest to obtain nuclear weapons as well as its terrorism and human rights violations. Jagdish N. Singh is a leading journalist based in New Delhi, India. And what would be their target? Such fast craft could not operate in open ocean conditions at anything like 80knots; and in open waters would be utterly vulnerable to aircraft from carriers. No matter how many, how fast they would be exterminated in minutes. Even IF some were able to get in range for attack they'd then have to contend with CIWS aboard the target vessels. 6000 rounds of depleted uranium per minute from each of at least two Vulcan Phalanx or Sea Sparrow missiles would shred them to fine dust. Just more inane bluster from Iran. As for destroying Israel, that nation would be fully justified in massive thermonuclear retaliation when the first few rockets fell on Israeli cities. Terrible for the population...but they have supported the Islamic Revolution and will get their deserts. I still don't understand why the US keeps trying to play games in the Middle East like regime change and creation of Democracy. The last two times in Iraq and Libya have have been so disastrous. Why are we working to take down Assad? He was democratically elected and even had an election this April 14th at 7000 poling stations were he received overwhelming support. If Assad does go down he will be replaced by the beheading, cage burners and Christian murders of ISIL and the Muslim Brotherhood. Why doesn't someone want to take down President Erdogan of Turkey? He created the whole Syrian revolt and has been supplying it across his southern border. Ever since 1979 IRAN has been a danger to the rest of us. What ever people say about the ex-Shah his attempt to weaken the influence of the Mullah's in politics was well thought out. Khomeini lst was exiled from IRAN. The Shah was too lenient with Khomeini, execution would have been the better option. Unless Putin takes decisive action against Khamenei and his cohorts a third caliphate headed up by Khamenei will be established by force through nuclear warheads. With Erdogan on the edge of Europe attempting to establish the same the mind boggles at the fall out. Why do we have such naive politicians in power today? "Based on the fifth five-year plan, we should materialize our objective of mass-producing military speedboats with the speed of 80 knots per hour." Knots per hour? What kind of naval commander would say such a nautically illiterate kind of thing? It gives me hope that these enemies of freedom may be politically appointed and incompetent like the Shia-commanded Iraqis who ran from ISIS and may fold surprisingly easily if seriously challenged. Calling Israel wolf-like, barbaric, and infanticidal is projectionism perfected. Israel is not sponsoring terrorists all over the world that are slaughtering men women and children because they are of a different faith. Many years have passed and terrible events have taken place, many directed toward Israel, to which I have observed and they have angered me. Out of frustration and anger toward those that condone the practices of Iran and other Islamic countries intending to destroy Israel, I say this; God Bless Israel and the Jewish people everywhere. May the world realize the struggles of Israel and to point the finger of shame toward Canada's new government under the Federal Liberals led by Justin Trudeau, he is and will continue to be an embarrassment to all clear thinking Canadians. It is very embarrassing to me (a man, born in Canada) to witness the responses from Canada's house of parliament newly elected Prime Minister (Justin Trudeau) as he defends Iran and other Islamic terrorists as they continue to attempt to trample the Jews in Israel and murder innocent people throughout the world. May the world someday come to their senses as Jews everywhere say, "Never again, never again" ..... long live Israel. The above quote is the most truthful and most tragic sentence in the so-called Western World. Unfortunately, most people in the West believe that all people --- including uncivilized people --- are the same. Nothing can be further from the truth, as has been proven in today's Europe. But, not to worry, President Barack Obama will not lose a single night of sleep --- he has, finally, his desired "LEGACY". Thank you JAGDISH N. SINGH for a great article, but, please don't hold your breath. The Wesrern Democracies ARE NOT going to rein in their their governments --- it is not their style. If GOD FORBID something will happen to Israel, the world leaders will hold their traditional three minutes of silence and then resume their usual routine of being at each other,s throats. What a "wonderful world"! Nothing ever changes. Thank you Gatestone .